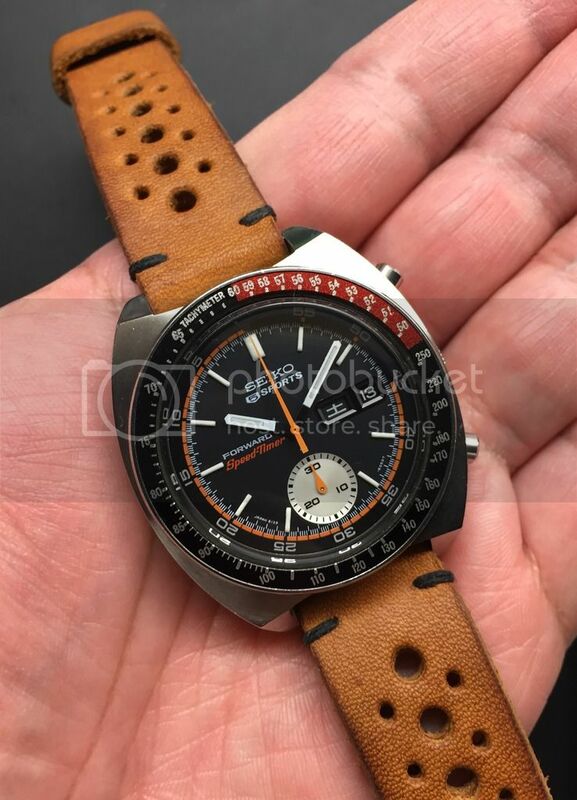 TimeZone : Seiko » "Never look back, look FORWARD..."
We have seen different wording on the dials of other 1969/70s JDM Speed-Timers such as "Seiko 5 Sports", "Water70Proof", "Speed-Timer", etc. 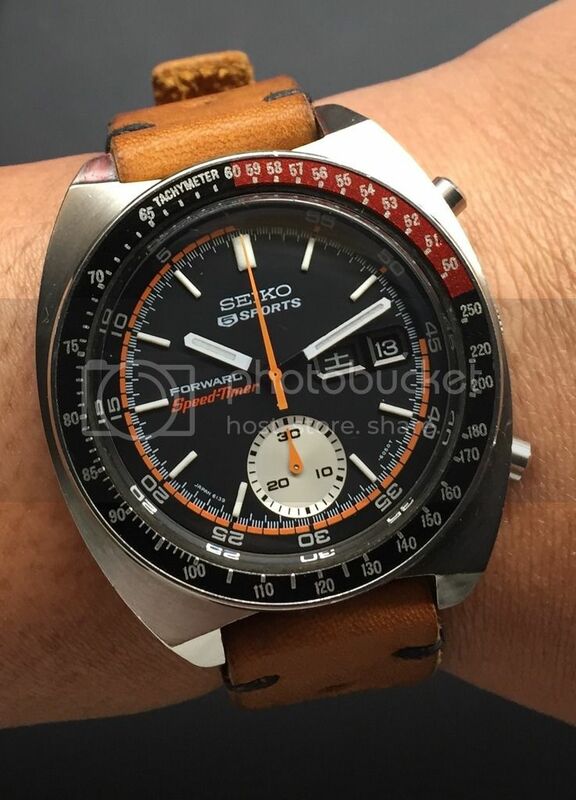 However, the history and reason behind why Seiko printed this word on the dial of this particular 6139 model remains a mystery. 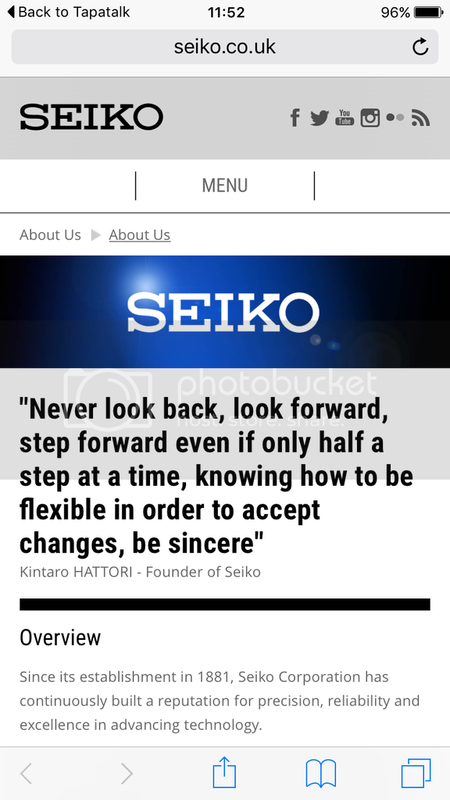 These are wise words indeed, and as it was then as it is now, Seiko continues to (quietly) lead the way in innovation and progress. Personally, I would prefer to believe it was made for the latter. 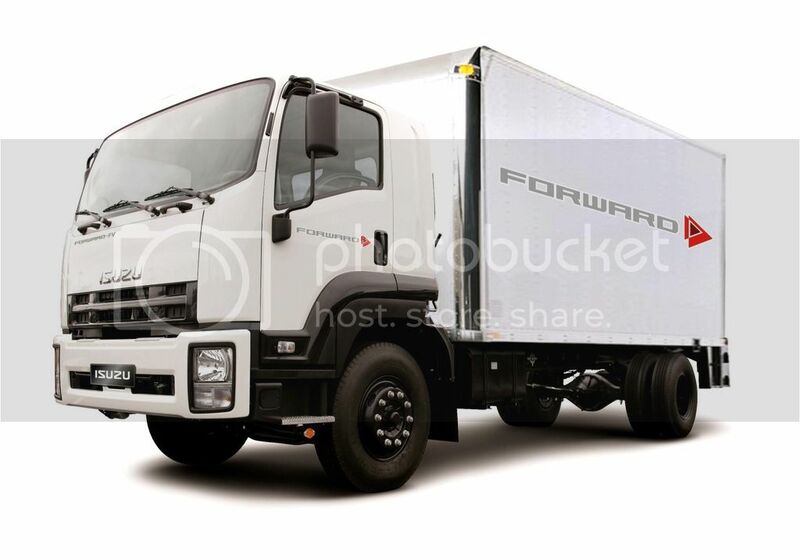 Just looking at the design -- everything seems to have a purpose and function. 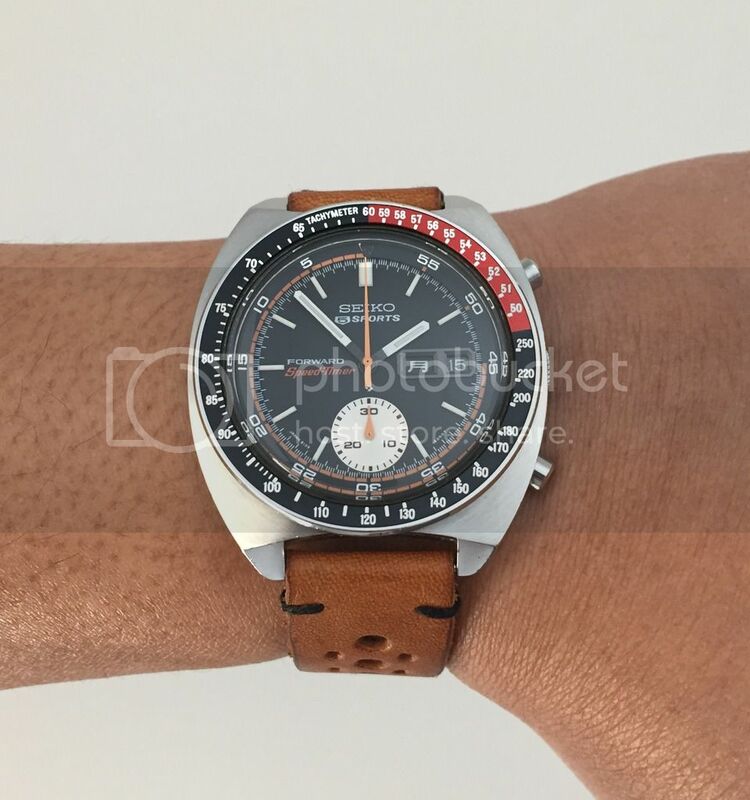 The fonts and colors used, the inner bezel, the outer tachy "coke" bezel provides that race-inspired look yet remains true to its purpose and function. 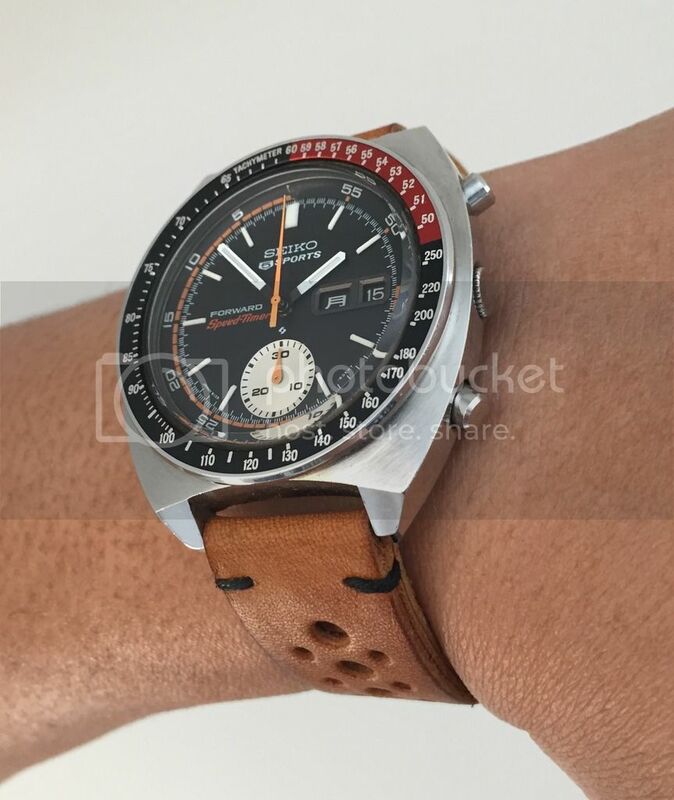 As I collect more of these rare Speed-Timers I continue to learn and appreciate what Seiko has done over the years, not just with their divers, but also their current innovations in models like the Astron and Grand Seiko (for instance). 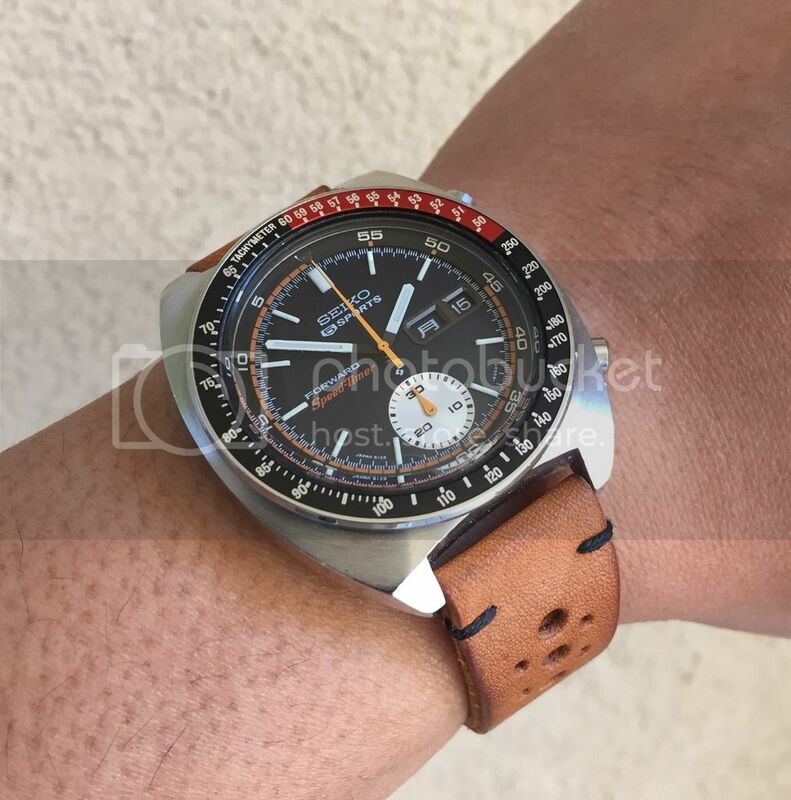 Many have testified to their finish quality and movement robustness, but with this change in perspective, I hope people will also learn and appreciate Seiko's past models and innovations for many years to come.